A 65-year-old Dade City woman was killed and three others were injured in a traffic accident involving a school bus on Wednesday afternoon in Pasco County. Reports indicate that three vehicles were involved in a school bus crash that took place on U.S. 301 in Pasco County around 3:05 p.m.
Investigators believe a 2008 Smart Car driven by a 61-year-old Dade City woman was stopped at a red traffic signal southbound on U.S. 301 at Morningside Drive when it was rear-ended by a Pasco County school bus, also travelling southbound on U.S. 301. According to officials, the impact of the collision sent the 61-year-old’s car through the intersection and into the center median. She was flown by Bay Flight to Lakeland Regional Hospital. At that same time, the 65-year-old woman was heading eastbound on Morningside Drive in a 2000 Chevrolet Malibu. She was entering the intersection of U.S. 301 when her vehicle was struck broadside by the school bus. The woman was pronounced dead at the scene. Two children in the woman’s car, a 14-year-old girl and a 13-year-old boy, were taken by Pasco County Fire Rescue to Florida Hospital in Zephyrhills for treatment. The operator of the school bus and a male aide on board did not suffer any injuries. According to reports, no children were on the school bus at the time of the collision. The investigation is still pending, but no charges have been filed at this time. There is no indication that alcohol played a role in the accident. School bus, city bus and commercial bus accidents can all result in severe injuries and even death to innocent drivers, passengers and pedestrians. While these types of accidents may appear to be the same as other motor vehicle collisions, it is important to note that the laws are different depending on the type of bus that caused the crash. Because of the various laws governing these types of accidents, most people need a personal injury or wrongful death lawyer that can help them pursue claims arising from bus accidents. Buses, including city buses, school buses and even tourist buses, are all classified as “common carriers” under Florida law. This means that the operators of must use the highest degree of care to ensure passenger safety. Moreover, these vehicles must be safe to transport passengers to and from their destination, and drivers are held to a higher standard than regular vehicle drivers. 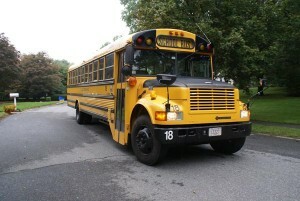 Accidents involving drivers, passengers or pedestrians that were hit by school buses can be complex as these cases usually present many unique challenges. Depending on if the bus is owned by a local school district or a private entity, there could be multiple potential parties that can be held accountable for the collision. A Pasco County Auto Accident Lawyer at Whittel & Melton can fully investigate the cause of your accident and help you recover the full and fair compensation needed so that you can move on from this tragic accident. If you or someone you love has been hurt or killed in an accident involving a school bus, please contact us today online or call 727-847-2299 for a free initial consultation. It is always in your best interest to speak with us before talking to the insurance companies involved. We answer our phones 24 hours a day, seven days a week, and can even come see you at your home or at the hospital in the event you cannot make it in to our office.